THE HOW AND WHY OF MODERNIZING YOUR DATA WAREHOUSE. With some upfront planning and consideration, migrating your data analytics to the cloud can lead to big payoffs for your business and technology demands. 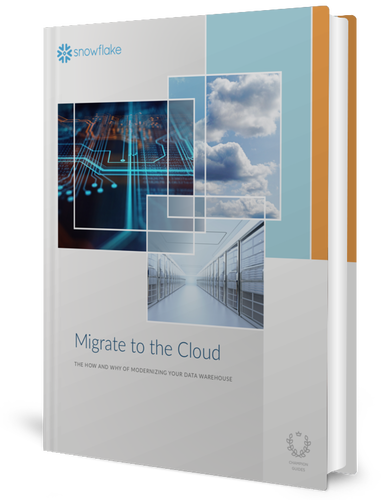 In this eBook, we’ll address your organization’s data analytics needs with a roadmap for migrating your data warehouse to the cloud. Get approaches, strategies, and requirements for a successful migration framework. Explore 3 different approaches for implementing a migration. Receive tips on how to best take advantage of your new, cloud data warehouse once it's implemented.